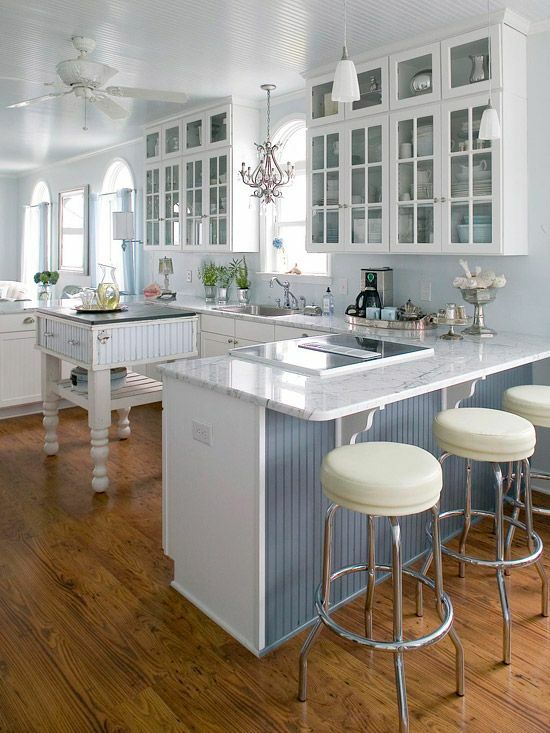 This one has a sink on the island instead of a cooktop, but, I could live with that! Now, this is a cooktop island! 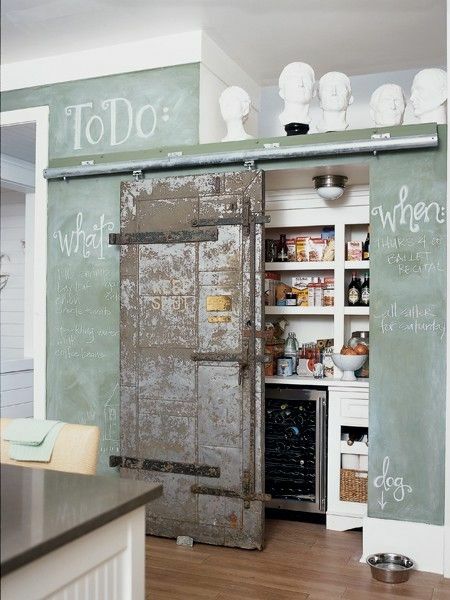 Love this for a pantry...I actually priced getting these types of doors...out of this gal's budget! This isn't actually my taste, but wouldn't it be nice to have all of that space? 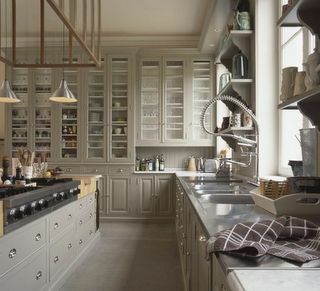 All images are from my Pinterest boards so you can find the sources there under Dream Home or Kitchens. the one with the chalkboard wall and pantry is my favorite!!! The second to last one is my very favorite! 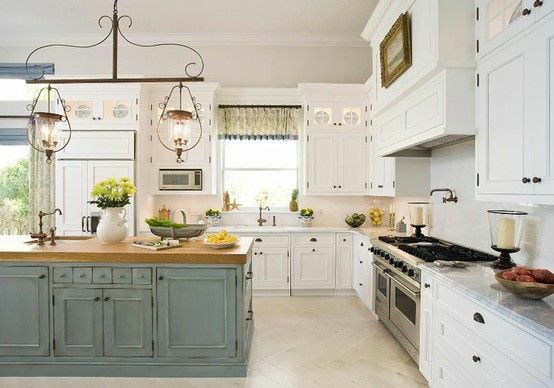 I would love to have a nice big kitchen full of white beadboard, open shelving, as well as glass front cabinets. Oh well, I can always dream!! 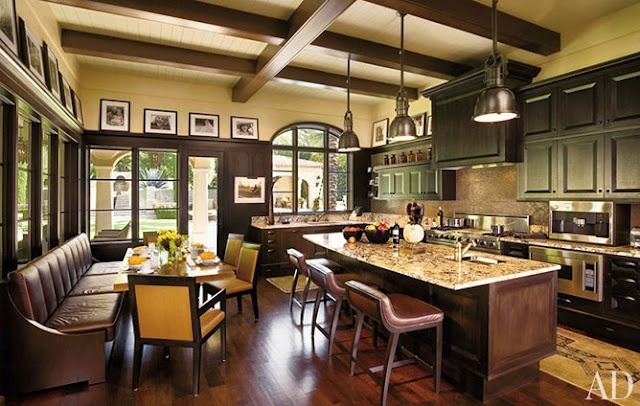 I love all these kitchens, you have really set out the fundamental concepts of good kitchen style.